On December 6th last year (it didn't seem to be so cold back then!) 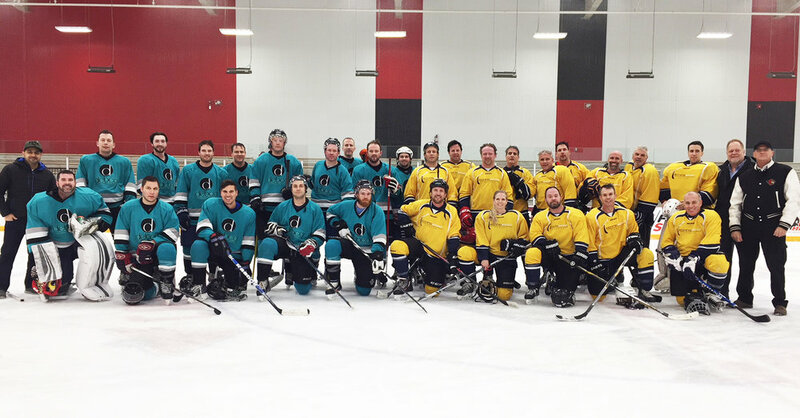 several members of the local Promotional Products Professionals of Canada got together to play some hockey and socialize. It was all about celebrating a successful year of business and appreciating all the great people who make this industry a fun one to be part of. Two great Canadian companies, Debco Bag and Technosport that work with distributors across the country, sponsored the event. There was some great swag to keep those memories alive and strengthen the bond in our industry community! Thanks, as always, for your support!